If you’re still working, what kind of life would you like to lead when you’ve said goodbye to the 9-to-5? Saving for your retirement is essential if you want the financial freedom to enjoy your later years. After all, you’ll still want to do all the things you love now – and probably a few others too. With that in mind, it’s a good idea to consider how big an income you’ll actually need. But at the heart of today’s challenge is rising longevity. UK life expectancy continues to rise, and a longer retirement means your savings will have to stretch further. 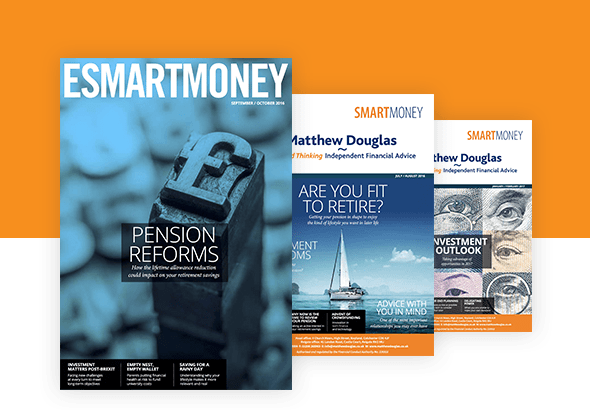 Pensions and Individual Savings Accounts are popular ways of saving tax-efficiently, but they are very different from each other – particularly in how they are taxed. Pensions should play an important part in everyone’s long-term financial planning, so ensure that you make the most of any employer’s contributions. Your own contributions are typically also tax-free on the way in, making them a very tax-efficient way to save. However, when planning long-term savings, savers with big aspirations for their retirement need to bear in mind the lifetime allowance and annual allowance. Lifetime allowance – if your pension pot is valued above £1 million (2017/18), a tax charge can apply on accessing the monies which exceed this threshold. The tax rate on savings above your lifetime allowance will be either 55% if you take it as a lump sum, or 25% otherwise. The pension funds will also be tested against the lifetime allowance at age 75. Annual allowance – if you contribute more than a given amount to your pension pot in any year, you usually have to pay tax on the extra amount. This cap is currently £40,000 a year for most people, but is lower for higher earners. The annual allowance is reduced by £1 for every £2 earned above £150,000. For anyone earning £210,000 or more, the allowance is £10,000 a year. These allowances may sound higher than they are, considering that both include an employer’s contribution. Remember that it is the value of your pension pot – not the amount that you contributed – that counts towards your lifetime allowance, and so investment growth over time could push you over this threshold. Also bear in mind that all of your pension income – including from a State Pension – is normally taxed like other income. This means that, even in retirement, annual earnings above £45,000 are subject to the higher rate of tax – currently 40%. Even if retirement isn’t far away, there are steps you can take to increase your retirement income. If your employer contributes to your pension plan, they might pay in a bit more if you do too. Some employers increase the amount they contribute when you increase your contributions (which may only be up to a certain limit). If you put an extra percent or two of your salary into your pension plan, they might pay in more as well, and in the long run you could end up better off. Ask your employer for details of whether they contribute to your pension plan, and by how much. Another way of boosting your pension pot is to increase your monthly payments whenever you get the chance. For example, if you receive a pay rise, why not arrange to pay some of it into your pension plan? You can also take this approach any time a regular expenditure comes to an end. If you pay off a loan, for instance, you could pay the extra money into your pension plan. Small, regular increases like this can make a big difference to what you eventually receive when you retire. Over the long term, your pension plan will have a better opportunity to grow. In addition to making regular payments, you could also pay lump sums into your pension plan. And as with any personal payments you make into your plan, the Government will top it up with tax relief, up to a certain limit. If you received a bonus from work and paid a personal contribution of £10,000 of it into your pension plan, the Government would add £2,500 in tax relief. The tax treatment of pensions depends on individual circumstances and may be subject to change. Please note that contributions being paid net of basic-rate tax relate only to personal pension contributions. Where your pension plan is invested can have a considerable effect on what you’ll eventually receive when you retire. You should regularly review how it’s invested. As you get older, it may be appropriate to consider changing your investment strategy to reduce investment risk as retirement draws closer. Given the limits we’ve mentioned on how much you can put in and take out of your pension without paying potentially significant amounts of tax, it might be worth considering how to complement it with other savings and investments. An important tool is the Individual Savings Account (or ‘ISA’) which can be used to hold any combination of cash savings and investments in stocks and shares. In the current 2017/18 tax year, up to £20,000 can be contributed towards your ISA. Unlike a pension, while you will have paid tax on money that you save or invest into an ISA, any income that you receive and any capital gains from a rise in the value of your investments will be free from personal taxation, irrespective of any other earnings you have. Your ISA should become part of your investment strategy, but it’s important to remember that tax rules may change in the future, and the tax advantages of investing through an ISA will also depend on your personal circumstances. Recent changes to pension rules mean you can access up to 25% of your pension pots as a tax-free lump sum from the age of 55. While you can choose how to spend your Pension Commencement Lump Sum – better known as ‘tax-free cash’ – you should remember that any spending now is likely to reduce your potential income in retirement. Depending on your circumstances, it may be prudent to consider using this lump sum to pay off any debts or perhaps reinvest it for your future. If you choose to save or invest through an ISA, remember that any gains or income will themselves be tax-free – unlike in a pension. In the current economic and political climate, looking beyond pensions to put your money to work could give you more choices in retirement. The right solution will be unique to your goals and needs, but there are a number of investment strategies that could help grow your money in time for life after work. THE VALUE OF INVESTMENTS AND INCOME FROM THEM MAY GO DOWN. YOU MAY NOT GET THE ORIGINAL AMOUNT INVESTED. PENSIONS ARE NOT NORMALLY ACCESSIBLE UNTIL AGE 55. FLUCTUATIONS IN FUND VALUE CAN IMPACT THE PENSION BENEFITS AVAILABLE. YOUR PENSION INCOME MAY ALSO BE IMPACTED BY INTEREST RATES AT THE TIME YOU TAKE YOUR BENEFITS.